The plant Fagonia indica is used in treating various diseases in folkloric/traditional medicinal system. It is used as a folklore medicine to treat diabetes. No study has been conducted so for to determine α-amylase inhibition for the evaluation of hypoglycemic potential of the plant. So, the aim of this study was for the investigation of in vitro, in vivo anti-diabetic potential and mode of action of various fractions of methanolic extract of the aerial parts of this plant. Various fractions (n-hexane, chloroform, ethyl acetate and n-butanol) from the most active methanolic extract were prepared. Hypoglycemic potential was investigated by α-amylase inhibitory assay. Different concentrations of fractions (20-100 µg/ml) were subjected to in vitro α-amylase inhibitory assay. Assessment of anti-hyperglycemic potential of the most active chloroform fraction exhibiting in vitro α-amylase inhibition was carried out in Wistar albino rat models. Changes in postprandial levels of blood glucose in rat models (normal and diabetic) were examined after starch load with or without chloroform fraction. Chloroform fractions (250 mg/kg and 500 mg/kg b.w.) dose levels were administered to the rats and the samples of blood were taken at 0 h, 0.5 h, 1 h, 2 h and 3 h intervals. In vitro results showed that chloroform fraction at concentration of 100 µg/ml showed maximum α-amylase inhibition (53.11 ± 0.97% with IC50 value of 93.61 ± 4.44 µg/ml) followed by ethyl acetate, n-hexane and n-butanol fractions. The reference standard acarbose (100 µg/ml) showed α-amylase inhibition (68.91 ± 3.09% with IC50 value of 52.99 ± 4.88 µg/ml). In in vivo study, chloroform fractions decreased lesser postprandial blood glucose levels than the standard acarbose at half an hour after meal intake. Chloroform fraction may inhibit hydrolyzing of starch via pancreatic α-amylase. It is concluded that chloroform fraction may have therapeutic potential to prevent prophylactically diabetes type 2. AL and NA designed the study. AR and RA performed the experiments. AR, SN and HTM drafted the manuscript. α-amylase inhibition, Anti-hyperglycemia, IC50, Postprandial, AUC. Diabetes Mellitus type 2 (DMT2) is associated with modifications in nutritional pattern towards excessive sweetened foods containing disaccharides which include sucrose and maltose (Apostolidis et al., 2012). It is caused by the inhibition of insulin secretion by the pancreatic β-cells and/or due to the defects in the action of insulin. It accounts for a significant number of diabetes instances in adults (American Diabetes Association, 2012) and is expected to raise up to 366 million patients by the year 2030 (Wild et al., 2004). Because of more-affluent lifestyle, the number of diabetes patients is predicted to increase in future. Postprandial hyperglycemia (increased blood glucose levels after meal) is one of the earliest detectable abnormalities which signal to DMT2. These abnormalities lead to chronic hyperglycemia leading to protein, fat and carbohydrates metabolism and resulting in a number of micro- and macro-vascular complications (Kanauchi et al., 2003). Clinical studies suggest that it is an important factor which contributes diabetes complications development (Ceriello, 2005; Singh, 2012). Patients with diabetes usually tend to have long-term complications like atherosclerosis, nephropathy, retinopathy, neuropathy and impaired wound healing (Ahmad, 2005). To slow or prevent the manifestation of complications related with diabetes, it is critical to manage postprandial hyperglycemia in treating diabetes. DMT2 occurs by carbohydrate digestion by the pancreatic alpha-amylase and small intestinal alpha-glucosidases which results in increased glucose liberation (Jo et al., 2009). Polysaccharides such as starch are metabolized to oligosaccharides such as sucrose, maltose and lactose by hydrolyzing enzymes within saliva and by the action of pancreatic alpha-amylase (Hanhineva, 2010). After taking a meal, there is a rapid increase in blood glucose levels (BGL) which results in postprandial hyperglycemia (Ceriello, 2005). A method to decrease excessive levels of blood glucose followed by meal administration is by the inhibition of these enzymes within the small gut (Tucci et al., 2010; Subramanian et al., 2008). Acarbose, voglibose and miglitol are the typical examples of carbohydrate hydrolyzing inhibitors used in clinical practice (Bailey, 2003). However, major drawbacks of these inhibitors include various GIT side effects like abdominal pain, flatulence and diarrhea (Fujiswa et al., 2005; Singh et al., 2008). Thus, there is need to explore and identify α-amylase inhibitors from the natural sources which have fewer side effects. Plants offer a cost–effective and an easily accessible source to discover such therapeutic agents having lesser side effects (Hussain et al., 2015). Variety indica of the plant Fagonia indica Burm. f. is a pruinose glabrous or glandular pale green shrublet up to 55 cm height. Distribution of the plant is in Pakistan and westwards to East and North tropical Africa (Zafar et al., 2010; Eman, 2011; Hameed et al., 2011). It is used as an anti-diabetic agent in folkloric/traditional system (Yaseen et al., 2015). There is no report about various fractions of the plant having effects of lowering blood glucose levels with precise mechanism. So, the study was aimed for the investigation of mode of action with effects of various fractions on postprandial hyperglycemia. For this purpose, inhibitory activities of various fractions were investigated against α-amylase (anti-diabetic potential). There will be the contribution of this study to understand anti-diabetic activity with mechanism of action of various fractions of the plant, especially towards the prevention and management of DMT2. Aerial parts of the plant were collected from the Cholistan desert of Bahawalpur, Pakistan. 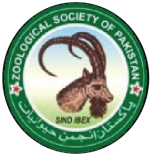 The plant was identified and authenticated by Taxonomist Zaheer-ud-Din Khan, Department of Botany, GC University, Lahore. A voucher with specimen number (GC-Herb-Bot. 2967) was deposited in the same University. The enzyme porcine pancreatic α-amylase and all other chemicals were supplied by Sigma-Aldrich (St. Luis, Mo, USA). Starch was purchased from Sigma Life Science (Walthem, MA, USA) Acarbose (Glucobay ®) was obtained from Bayer AG (Wuppertal, Germany). Analytical grade chemicals and reagents were used. The aerial parts of the plant were shade dried and grinded into coarse powder. The powder was extracted sequentially with solvents (n-hexane, chloroform, methanol and water) of increasing polarity with frequent stirring by cold maceration method. The extracts were filtered and concentrated by using rotary vacuum evaporator (Heidolph, Laborata 4002, Germany) under reduced pressure at 40°C and were stored in sample bottles at 0-4°C for both in vitro and in vivo studies. The extracts were evaluated for hypoglycemic activity by α-amylase inhibitory assay. Methanol extract exhibiting the maximum α-amylase inhibition was further fractioned to evaluate the activity of various fractions. 10 gram of the most active methanolic extract showing α-amylase inhibition was dissolved in 50 ml of DW (distilled water) and placed in a separating funnel. The extract was fractioned with various solvents in order of increasing polarity, starting with the least polar solvent, n-hexane followed by chloroform, ethyl acetate and n-butanol. After, the fractions obtained were dried at 40°C in an oven, weighed and stored in glass sample containers. Inhibition of various fractions against alpha-amylase was presented as %age of inhibition and IC50 (concentration of the inhibitor needed to give 50% inhibition) were determined using Microsoft Excel by linear regression. This study was done to confirm the in vitro results. The evaluation of anti-diabetic potential of the most active chloroform fraction exhibiting in vitro α-amylase inhibition was carried out in Wistar albino rats. All the animal experimental procedures were approved by the Animal Ethical Committee (AEC), University College of Pharmacy, Allama Iqbal Campus, University of The Punjab, Lahore, Pakistan (Approval number: AEC/PUCP/1076, 03/05/2018). Adult Wistar albino rats (180-220 g) were used during the research study. The rats were housed under controlled conditions (22-25°C) in a ventilated animal transit room with relative humidity of 50 ± 7% and on a 12 h light/ 12 h dark cycle for one week. Before starting the experiment, rats were acclimatized to the laboratory environmental conditions. Availability of diet and water to the animals was ad libitum during the study. We have already determined toxicological studies for chloroform fraction as per OECD (Organization for Economic Co-operation Development) guidelines No. 425 (OECD, 2008) (data published later). It was found to be safe up to 1000 mg/kg b. w. when administered orally. Two doses (250 mg/kg and 500 mg/kg) of chloroform fraction were administered orally for in vivo study. After overnight fasting, a single injection of streptozocin (STZ) 50 mg/kg in a freshly prepared solution of normal saline (0.9% w/v) was administered intraperitoneally to the rats to induce diabetes (Mohan et al., 2013; Tzeng et al., 2014). Effect of the plant and the standard reference acarbose on hyperglycemia that was induced by starch loads in Wistar albino rats was evaluated by the inhibition of the plant and the standard acarbose on postprandial hyperglycemia (Kim et al., 2018). The rats were separated into 4 groups of six rats (200 ± 20 g) each. After 16 h fasting, a single dose of starch (2 g/kg b.w.) was administrated orally to the animals of all groups. Group I received starch as the control. Animals of group II and III were administered 250 and 500 mg/kg b.w. respectively of chloroform fractions by oral gavage. Group IV received acarbose (5 mg/kg b.w.) as a standard drug and served as positive control group. Blood glucose levels (BGL) were checked at 0 h, 0.5 h, 1 h, 2 h, and 3 h using a Glucometer (One Touch Ultra, Life Scan). Time at which maximum-observed peak level of blood glucose (Cmax) was observed (Tmax) was determined. This was based on observed data and the blood glucose-time curve (AUC) was estimated. The diabetic rats showing BGL more than 200 mg/dl were separated into 4 groups of 6 rats each. After 16 h fasting all the rats received starch at dose level of 2 g/kg b. w. and divided as: Group I, diabetic rats received starch only, served as diabetic control group; Group II, diabetic rats received starch and chloroform fraction (250 mg/kg b.w. ); Group III, diabetic rats received starch and chloroform fraction (500 mg/kg b.w). Group II and III served as sample treated groups and Group IV, diabetic rats received starch and the standard acarbose (5 mg/kg b.w.) which served as a standard (positive control) group. BGL were determined before and after 0.5, 1, 2 and 3 h of starch load and its alteration from the base line was analyzed. Data were presented as mean ± SD of triplicate. Statistical analysis was carried out by GraphPad Prism version 5. One-way and two-way analysis of variance was applied which was followed by Tukey’s Multiple Comparison as post hoc test. Difference with P < 0.05 between groups was considered as a statistical significant. Chloroform fraction of the plant showed no signs of toxicity or mortality up to 1000 mg/kg dose level administered orally in rats. So, the chloroform fraction was considered safe and nontoxic for further studies. The results showed that various fractions of the plant inhibited alpha-amylase enzyme in a dose dependent manner. Enzyme inhibition ranged between 11-53% and was intensified gradually as the concentration increased from 20-100 µg/ml (Fig. 1). Chloroform fraction at the maximum concentration (100 µg/ml) showed the highest alpha-amylase inhibition of 53.11 ± 0.97% and the reference standard (acarbose) showed 68.91 ± 3.09% inhibition at the same concentration. IC50 values of acarbose and various fractions suggest that α-amylase inhibitory effect of the fractions was weaker than that of acarbose (Table I). Changes in postprandial blood glucose levels were evaluated by starch load test using albino rat model. Chloroform fractions ameliorated BGL to 182.2 ± 9.12 mg/dl and 167.90 ± 7.15 mg/dl respectively at half an hour after oral administration in comparison to acarbose and starch treated groups (123.70 ± 4.86 mg/dl and 210.0 ± 14.65 mg/dl, respectively). Chloroform fractions suppressed the rising of plasma glucose levels by 27.8 mg/dl and 42.1 mg/dl respectively after administered orally. After half an hour, we observed that the groups which were treated with chloroform fractions exhibited the lowest increase in BGL (373.5 ± 13.15 mg/dl and 334.1 ± 10.09 mg/dl) (Fig. 2A). Table I.- Half maximal inhibitory concentration (IC50) for alpha-amylase inhibition of various fractions (fr) and the standard (acarbose). The values are expressed as mean ± standard deviation of triplicate and are expressed relative to acarbose (strandard). ***c P<0.001 when compared with reference standard (acarbose). Table II.- Pharmacodynamic parameters of control, chloroform fractions 250 and 500 mg/kg and the standard (acarbose) in albino and diabetic rats administered with starch. The starch loading test for pharm Salehi et al., 2013 acodynamics parameters is shown in Table II. Significance difference (P<0.05) in term of Cmax and non-significant difference (P > 0.05) in term of area under the curve (AUC) was seen between the control (starch) and chloroform-treated groups. In starch loading, chloroform fractions resulted in much reduction of both Cmax and AUC while all the fractions had similar values of Tmax (Table II). Cmax of chloroform administered groups were decreased by about 13.24% and 20.05% (from 210.0 ± 14.65 mg/dl to 182.2 ± 9.12 mg/dl and 167.9 ± 7.15 mg/dl, respectively) in starch load test in comparison to control group in pharmacodynamics study. Our results suggested that chloroform fractions can inhibit starch breakdown to disaccharides in stomach. Chloroform fractions (250 and 500 mg/kg) suppressed the level of blood glucose by 245.0 ± 4.34 and 215.0 ± 2.17 mg/dl at half hour after oral administration (Table II) (in comparison to acarbose and starch treated groups (196.0 ± 5.34 mg/dl and 315.0 ± 8.67 mg/dl). Chloroform fractions suppressed the rising of the levels of plasma glucose by 70 mg/dl and 100 mg/dl, respectively after administered orally. After half an hour, we observed that the groups which were treated with chloroform fractions exhibited the lowest increase in blood glucose levels (550.5 ± 12.67 and 465.8 ± 13.56 mg/dl, respectively) (Fig. 2B). The starch loading test for pharmacodynamics parameters are shown in Table II. Significance difference (***cP<0.001) in the values of Cmax and AUC was seen between the starch and chloroform-treated groups. In starch loading, chloroform fractions resulted in much reduction of both Cmax and AUC (Table II). Cmax of chloroform fractions 250mg/kg and 500 mg/kg administration groups were decreased by about 22.23% and 31.75% (from 315.0 ± 8.67 mg/dl to 245.0 ± 4.34 mg/dl and 215.0 ± 2.17 mg/dl, respectively) in starch loading in comparison to that of control group in pharmacodynamics studies. The results show that chloroform fractions can inhibit starch breakdown to disaccharides in the stomach. Diabetes mellitus (DM) affects about 220 million people all over the world and it is highly expected that this number will increase up to double proportions by 2030. High BGL would increase the risk of diabetes complication, a major reason of disability in the modern society (Shi et al., 2017). At present, DM and its related complications are reported to cause the death of 6 people every minute (Lenzen, 2008). Pancreatic β-cell dysfunction, variations in protein and lipid metabolism associated with relative or absolute insulin resistance and impaired glucose tolerance (fasting and postprandial hyperglycemia) are typical features of Type 2 diabetes. So, haemostatic balance in the level of glucose is required to decrease the complications that are associated with this disease (Patel et al., 2012). Reduced postprandial glucose absorption, enhanced sensitivity of organs to insulin and increased insulin secretion by β-cells are the exemplary approaches dealing with the risk factors of DM (Biradar et al., 2010). However, anti-diabetic agents used clinically used like glibenclamide produce serious side effects (renal failure, anemias, cholestatic jaundice etc.) (Jeon et al., 2013). Therefore, safer and effective anti-diabetic agents that can cope with diabetes associated complications are still needed (Sharma et al., 2006). It is proved that herbal drugs are as effective as the synthetic drugs with fewer side effects. The best way to diabetes mellitus is to reduce postprandial hyperglycemia. Alpha-amylase inhibitors play an important role to block the release of glucose from the dietary carbohydrates and extend the absorption of glucose which leads to the decreased level of postprandial plasma glucose (Lebovitz, 1997). The α-amylase enzyme hydrolyzes α-1-4 glycosidic linkages in polysaccharides (starch-amylase, amylopectine and glycogen) to produce maltose units. Alpha-amylase inhibitor forms α-amylase enzyme-inhibitor complex by binding with α-amylase. So it inhibits the activity of alpha-amylase resulting in slow digestion of starch and reducing the rate of absorption of glucose. So, postprandial increase in the level of glucose is decreased (Kamtekar et al., 2014). This study confirmed that above postprandial glucose suppression is due to the inhibition of α-amylase in starch loaded rats. The results ensured mechanism of the plant as α-amylase inhibitor which results in decreased postprandial levels of blood glucose followed by the ingestion of starch. Different plant extracts and natural products decrease the production of glucose from carbohydrate in the gut or the absorption of glucose from the intestine. In our study, F. indica effectively exhibited the α-amylase inhibitory activity which is in line with a previous report of other variety of the plant (Mahdy and Shehab, 2015). Ethanol extract (70 %) of the whole plant was evaluated for anti-diabetic activity in mice that were induced by alloxan. The plant showed a lowering effect of blood glucose at a significant level (303.86 ± 11.71 mg/dl) by comparing with hyperglycemic untreated group (521.57 ± 17.84 mg/dl). By correlating the results with the previous reports it was shown that a significant inhibition of enzyme occurs by alcoholic extract. 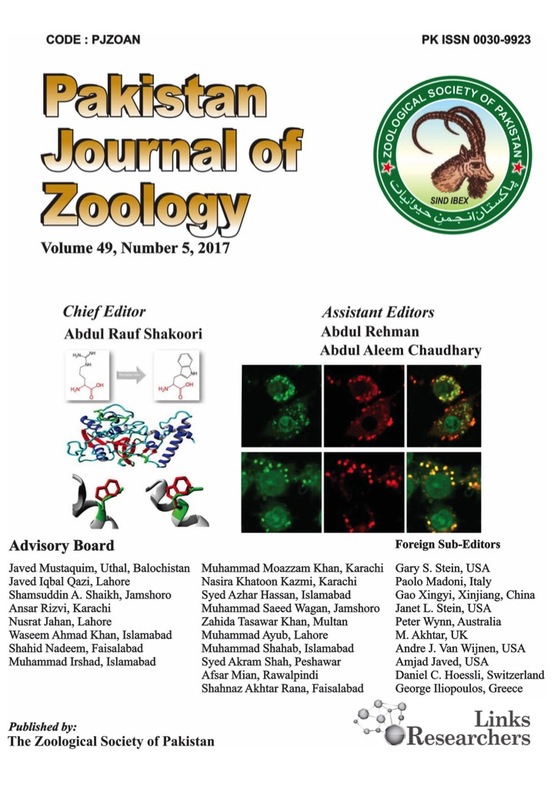 Various extracts of 10 Iranian medicinal plants were examined for α-amylase inhibition using both in vitro and in vivo streptozocin induced diabetic rat models. The plants showed α-amylase inhibitory activities (Salehi et al., 2013). Anti-diabetic activity of green gold-siver nanocomposite and aqueous extract of Trigonella foenum graecum L seed extracts was evaluated in streptozocin induced diabetic rats. A significant (P < 0.05) decrease in the blood glucose level was recorded in the plant extract treated group in comparison to diabetic control group (Virk, 2018). Preparations from some herbs can stimulate β-cells regeneration and the consumption of peripheral glucose in diabetic rats induced by streptozotocin and alloxan (Jeon et al., 2013; Ghamarian et al., 2012). Mediation in the diabetogenic action of streptozocin is done by the damaging action of reactive oxygen species on β-cells. DM is a metabolic disorder which is due to increased enhanced cellular oxidative stress and decreased ant Bailey, C.J., 2003. New approaches to the pharmacotherapy of diabetes. In: Textbook of diabetes, ioxidant activity. It has been shown that Ghamarian et al., medicinsal plants exert hypoglycemic activity due to the presence of secondary metabolites in the plants that show antioxidant activity such as triterpenoids, flavonoids, phenolic acids, tannins, isoflavonoids and coumarins (Jeon et al., 2013; Gillespie, 2006). Preliminary screening of F.indica extracts (n-hexane, chloroform, methanol and water) showed the presence of carbohydrates, glycosides, alkaloids, phenols, tannins and flavonoids. So, enhanced β-cells regeneration by these bioactive phytoconstituents results the scavenging of streptozocin-induced free radical (Biradar et al., 2010; Gillespie, 2006). This leads to anti-hyperglycemic activity of Fagonia indica. In the present study, n-hexane, chloroform, ethyl acetate and n-butanol fractions of the plant showed inhibitory effect on α-amylase in comparison to that of acarbose as a positive reference. Our finding proves that hyperglycemic control may be related to α-amylase inhibitory activities. It is suggested that in vivo test findings exerted anti-diabetic effect by decreasing starch induced postprandial hyperglycemic levels in rats. Thus, chloroform fractions of the plant may be used as nutraceuticals for the regulation of postprandial hyperglycemia in managing DMT2. Isolation and characterization of the most active chloroform fraction is desired to obtain novel compounds showing potent anti-diabetic activity. Furthermore the most active chloroform fraction should be purified and the chemical structures should be characterized. We are grateful to Dr. Mahtab Ahmad, Associate Professor and Dr. Naveed Mushtaq, Assistant Professor, Faculty of Pharmacy, The University of Lahore in performing in vitro and in vivo studies. The authors declare that there is no conflict of interests with regard to this publication. Bailey, C.J., 2003. New approaches to the pharmacotherapy of diabetes. In: Textbook of diabetes, 3rd Ed. (eds. J.C. Pickup and G. William), Blackwell Science Ltd., UK, pp. 73.1-73.21. Biradar, S.M., Rangani, A.T., Kulkarni, V.H., Hanumanthachar, J., Habbu, P.V. and Smita, D.M., 2010. Prevention of onset of hyperglycemia by extracts of Argyriea cuneata on alloxan-induced diabetic rats. J. Pharm. Res., 3: 2186-2187. Eman, A.A., 2011. Morphological, phytochemical and biological screening on three Egyptian species of Fagonia. Acad. Arena, 3: 18-27. Ghamarian, A., Abdollahi, M., Su, X., Amiri, A., Ahadi, A. and Nowrouzi, A., 2012. Effect of chicory seed extract on glucose tolerance test (GTT) and metabolic profile in early and late stage diabetic rats. DARU J. Pharm. Sci., 20: 56. Hameed, M., Ashraf, M., Al-Quriany, F., Nawaz, T., Ahmad, M.S.A., Younis, A. and Naz, N., 2011. Medicinal flora of the Cholistan desert: A review. Pak. J. Bot., 43: 39-50. Jo, S.H., Ka, E.H., Lee, H.S., Apostolidis, E., Jang, H.D. and Kwon, Y.I., 2009. Comparison of antioxidant potential and rat intestinal α-glucosidases inhibitory activities of quercetin, rutin, and isoquercetin. Int. J. appl. Res. Nat. Prod., 2: 52-60. Kamtekar, S., Keer, V. and Patil, V., 2014. Estimation of phenolic content, flavonoid content, antioxidant and alpha amylase inhibitory activity of marketed polyherbal formulation. J. appl. Pharm. Sci., 4: 61-65. Kwon, Y.I., Vattem, D.A. and Shetty, K., 2006. Evaluation of clonal herbs of Lamiaceae species for management of diabetes and hypertension. Asian-Pac. J. clin. Nutr., 15: 107-118. Mahdy, A. and Shehab, N.G., 2015. Hypoglycemic activity of Fagonia indica and Aloe vera in alloxan-induced hypergly-cemia in mice. EC Pharmaceut. Sci., 2: 239-244. OECD, 2008. OECD guidelines for the testing of chemicals, Test 425. OECD Publishing, Paris. Salehi, P., Asghari, B., Esmaeili, M.A., Dehghan, H. and Ghazi, I., 2013. Glucosidase and-amylase inhibitory effect and antioxidant activity of ten plant extracts traditionally used in Iran for diabetes. J. med. Pl. Res., 7: 257-266. Singh, S.K., 2012. Post-prandial hyperglycemia. Indian J. Endocrinol. Metab., 16(Suppl 2): S245-247. Subramanian, R., Asmawi, M.Z. and Sadikun, A., 2008. In vitro α-glucosidase and α-amylase enzyme inhibitory effects of Andrographis paniculata extract and andrographolide. Acta Biochim. Pol., 55: 391-398. Zafar, M., Khan, M.A., Ahmad, M., Sultana, S., Qureshi, R. and Tareen, R.B., 2010. Authentication of misidentified crude herbal drugs marketed in Pakistan. J. med. Pl. Res., 4: 1584-1593.